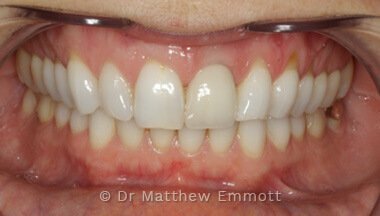 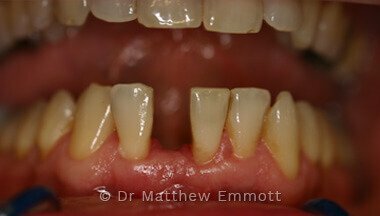 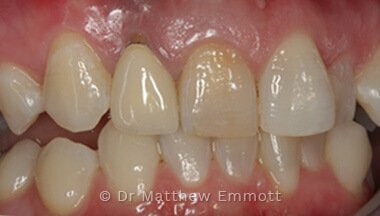 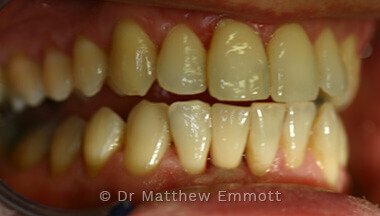 Case Study: A patient who had previously had all lower arch teeth removed and the arch restored with a full removable denture, which was uncomfortable and non-functional. 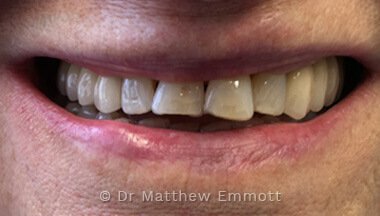 Following a clinical assessment the patient was rehabilitated with a an acrylic overdenture of 14 teeth fixed to 2 dental implants. 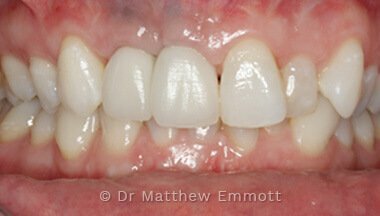 The patient had good bone quality throughout the lower arch and bone augmentation was not required. 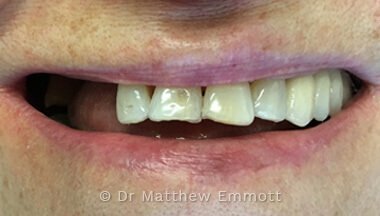 The treatment was completed in six appointments over a 16 week period, paying a complete fee of £4400.00 This fee included clinical assessment £110.00 being refunded on completion of the treatment, all implant components for two implants, surgery and the acrylic overdenture. 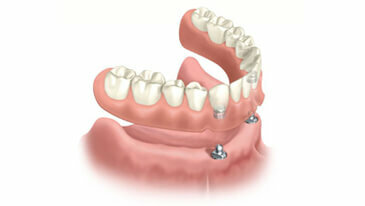 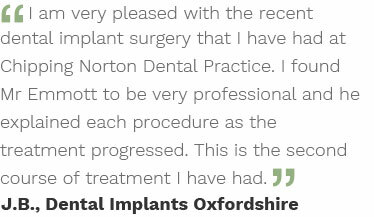 If you want more information about dental implants in Oxfordshire, why not call our friendly team. 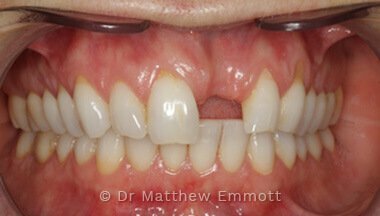 Or send us an email.